geared and designed for a special population and the specific developmental needs of that popul ation (neurological, cognitive, motor). 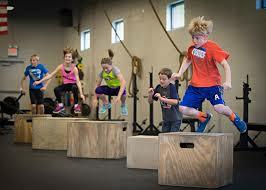 CrossFit Kids workouts consist of constantly varied, functional movements that deliver a fitness that is broad, inclusive and general. It is infinitely scaleable for any participant at any level and is FUN! 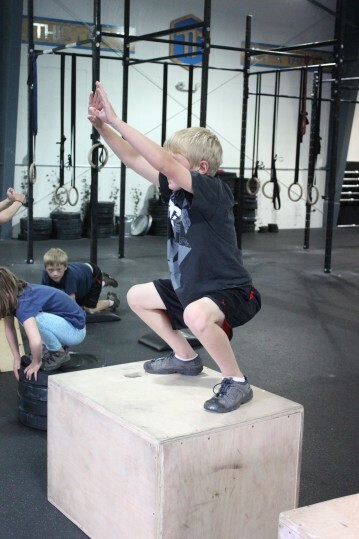 The functional movements involve exercises that are fundamental to all things that kids need to do when they play-pull, push,run, throw, climb, lift and jump. CFTT is excited to be an officially licensed CrossFit Kids affiliate. This means coaches who will be working with your child/children have been certified specifically in the methods of CrossFit Kids and are approved and background checked by CrossFit Kids HQ.